This article shows how, in discourses on acting in post-World War II Germany, the actor/the actress appears as an idealised medium of ‘truth’ for the (re)building of a German democratic society. 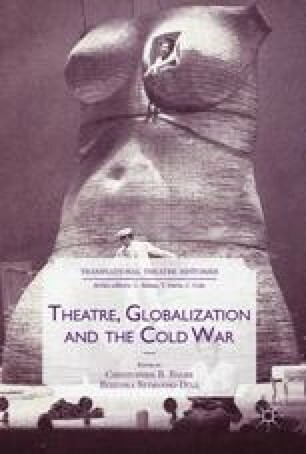 It focuses on Cold War rhetoric and strategies associated with Stanislavsky, Brecht, and the institutionalisation of actor training in East Germany between 1945 and 1961. In so doing, the author would like to suggest that historical research on acting in terms of (transnational) cultural transmission may provide new insights into East/West German cultural history and contribute to global theatre histories in a way that an exclusive focus on acting as communication or performance cannot.